So, what's a finished rock look like? How do I know when I am done polishing? You'll know. 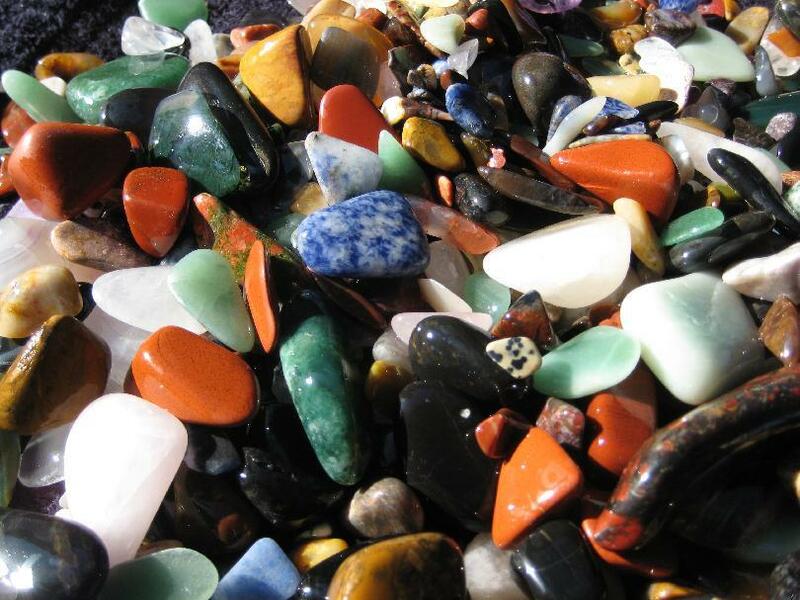 Every rock polisher must develop his or her own style and standards. For me, I like smoothly shaped rocks and I feel I am finished when the surface is smooth enough and shiny enough that you can't see any difference if it is wet or dry. Here are some examples of my finished rocks. 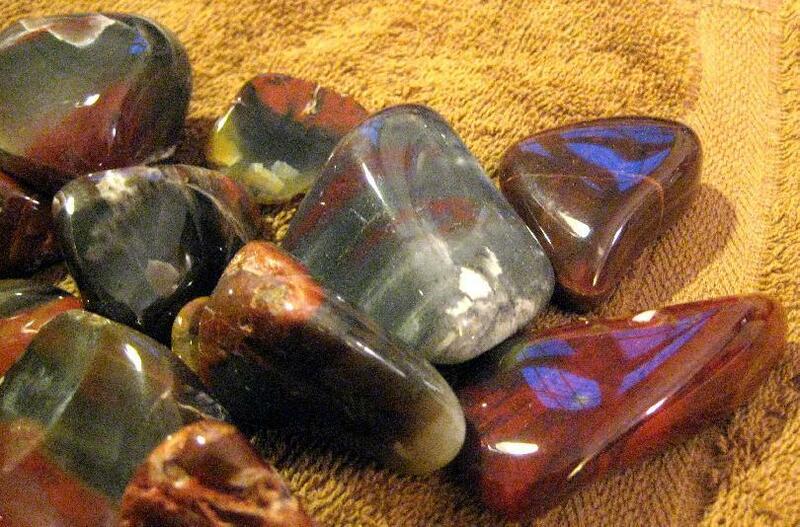 These are some finished rocks from a mixed batch. 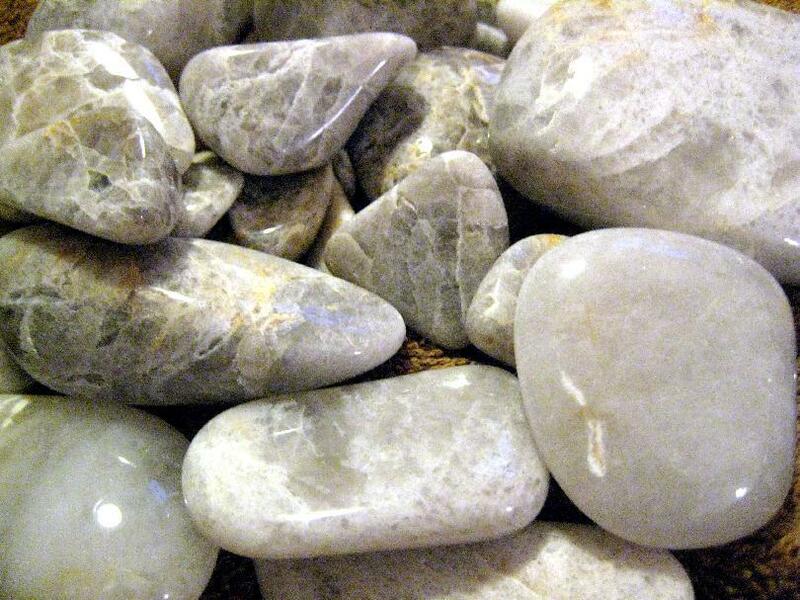 All photos on this page are with the rocks bone dry. If you wet the rocks during the process, you can see the color and make photos that look pretty good. BUT, once those rocks dry out you will not have the smooth, glossy surface. Take the time and make them shine. It is worth it. 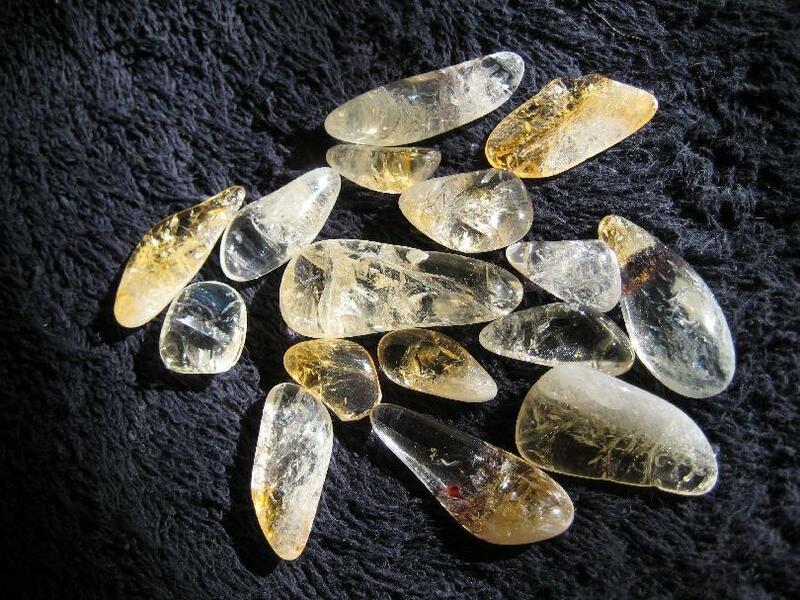 Some citrines I polished. The citrines were a gift. I enjoyed polishing them. I enjoyed more having the chance to share some of the polished citrines with the original donor. These are some rocks from my back yard. I call them Tisberries (after the street on which they are found). The micro-cracks are likely caused by many years of freezing and thawing as these rocks laid on the surface or just below it. If you get rocks from a mine or rocks from a deep river bed, you won't see the micro-cracks. Like I said, I feel I am done when the stones are smooth and the surface is glossy enough you see no difference if it is wet or dry. Getting good picturs of finished stones can be a challenge. When they are rounded like this, you can't find an angle that doesn't reflect your image back into the photo. And you must work very hard not to capture images of features in the room - like the image of the blinds on the window in the room in which I shot this photo. The real test for doneness is touch. Hold the rock in you hand, roll it around. If it fells right, it is.